Hello ... Hello ... my old friends ... It's great to see you once again! 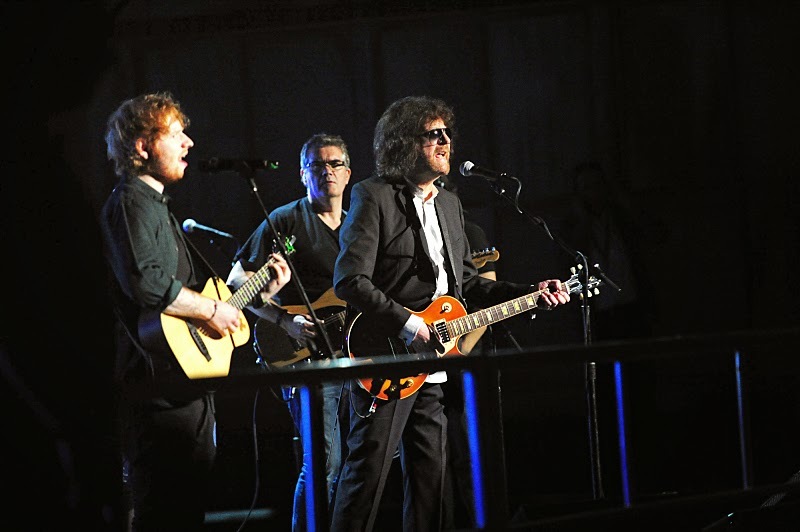 Headline Planet have today published a couple of nice photographs [courtesy of CBS] from the 57th Grammy Awards rehearsal held at The Staples Center in Los Angeles on Friday 6th February featuring none other than Ed Sheeran with Jeff Lynne, Mike Stevens and Lee Pomeroy from Jeff Lynne's ELO. 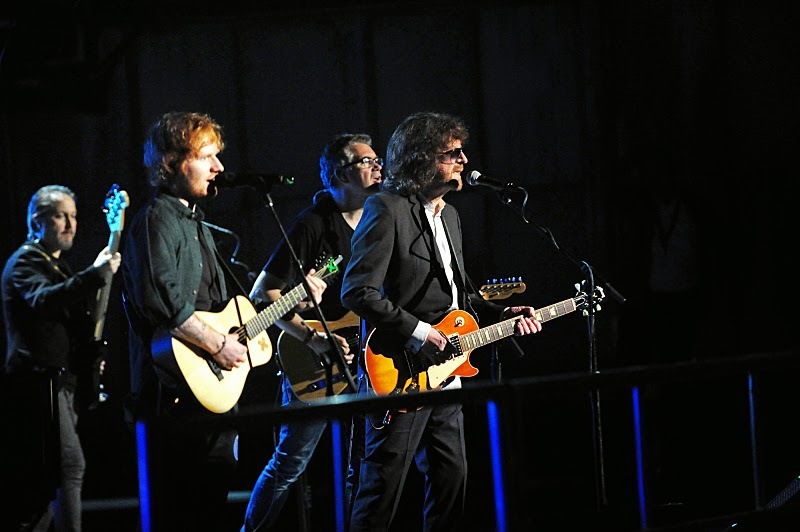 The session was held in advance of the 57th Grammy Awards ceremony scheduled for tomorrow night [Sunday 8th February]. Can we try and get this bass player to show a bit of respect for someone trying to sing in front of him.